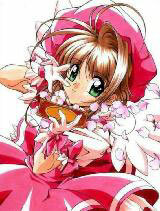 You are going to Watch Cardcaptor Sakura Episode 62 English dubbed online free episodes with HQ / high quality. Stream Anime Cardcaptor Sakura Episode 62 Online English dub Sakura and the Strange Written Fortune, Sakura goes to a New Year’s festival and notices that Yukito isn’t around. Toya goes to check on him, discovering that he has not only collapsed from fatigue, but he’s also beginning to fade from existence since Sakura’s power, despite how strong it has become, is not enough to sustain Yue. Later at the festival, she receives a fortune from Eriol which he secretly made and enchanted, saying that she will begin to learn the “truth” in her “first dream of the year.” That night, Sakura transforms the Dream card in her sleep and has a dream of the sky being blanketed by darkness emanating over Tsukimine Shrine, where she sees the silhouettes of Eriol, Spinel Sun, and Ruby Moon. When Sakura awakens to realize what she’s done, she and Kero begin to suspect that they will meet the three silhouetted figures very soon.